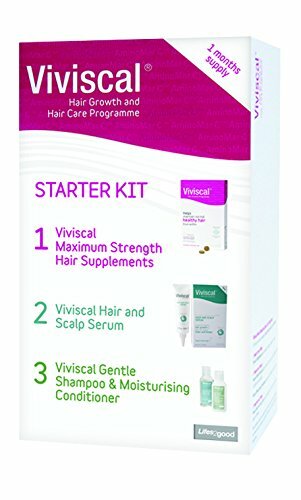 Natural Health featured the Viviscal starter set in a piece about hair to make your hair grow faster. They have explained how supplements stimulate the hair, and mentioned that Viviscal contains zinc and niacin to promote healthy hair growth. "Like our body, we get out what we put in when it comes to nutrition, and our hair is no different. Eating a diet rich in protein, Vitamins B and C will give you a healthy mane that can withstand occasional damage. If you want to top up these levels, try to introduce a supplement that contains zinc and niacin in addition, such as Viviscal's Maximum Strength Women (£49.95 for one month's supplement, viviscal.co.uk)."